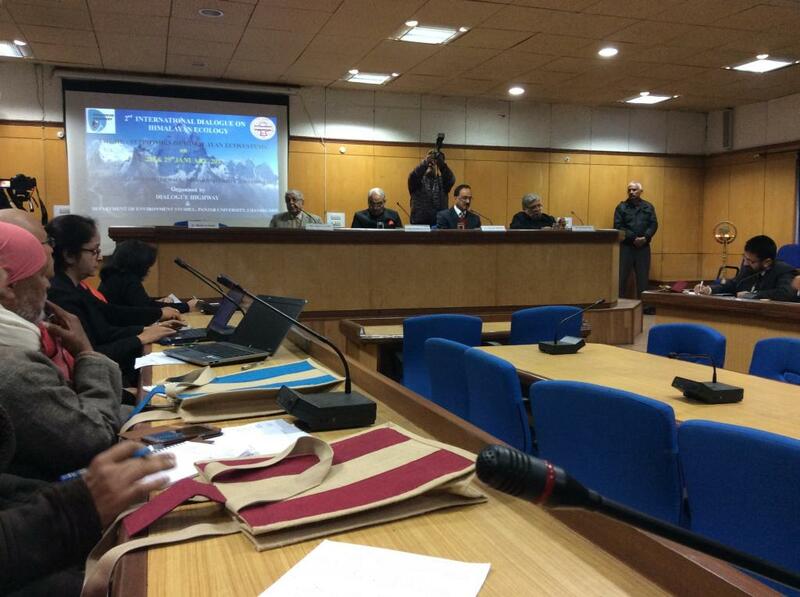 The 2nd international dialogue on Himalayan ecology organised by Dialogue Highway and the department of environment studies, Panjab University, focused on conserving, nurturing and valuing mountain ecosytems for rendering essential services such as fresh water supply, tourism activities, biodiversity preservation and agriculture, among many others. Experts pointed out that sustaining ecosystems is vital for global development, but its value is not appreciated in terms of paying back for the services derived. At present, too much pressure on ecosystems is diminishing their value. As people living in the plains benefit from a host of services provided by mountain ecosystems, the need for quantifying ecosystems has assumed importance. The need of the hour is to link ecosystem services with decision making for development. Devinder Sharma, writer and food policy analyst, who was present at the conference, said that benefits of ecosystems services are being reaped by people living downstream and those living in the Himalayas are not being paid for being the rightful custodians. He called the Himalayas our “life systems”. Taking a dig at faulty growth and development models, he said, “Mountain people are becoming water deficit.” Sharma blamed water deficit in Himalayas on water misuse and its mindless extraction in plains and lowlands. Taking the example of Punjab, which is called the food bowl of India, he added farmers are guzzling water to grow crops like rice and wheat. When we export rice, we also export water, Sharma said, forgetting the fact that the water used to cultivate crops comes from the Himalayas. At a time when economic growth is equated with GDP, experts said calculation should also take into account the environmental services rendered by people, which go a long way in protecting our precious resources. Justice Swatanter Kumar, chairman of the National Green Tribunal, said, “We are doing everything to destroy the Himalayas.” He gave the example of mindless tourism in Rohtang Pass and its negative impacts like destruction of the pristine landscape and water pollution. The importance of Rohtang can be gauged from the fact that it is one of the highest passes in the world surrounded by 23 glaciers, all sources of freshwater. As Kumar pointed out, Rohtang is a beautiful place today due to the many restrictions imposed on tourists and commercial activities.